How Can I Sue if I Rear Ended the Other Car? If you are driving a car and you rear end another vehicle, is it automatically your fault? The short answer is no. There are certain facts that may help you prove that the rear end car accident is not your fault. 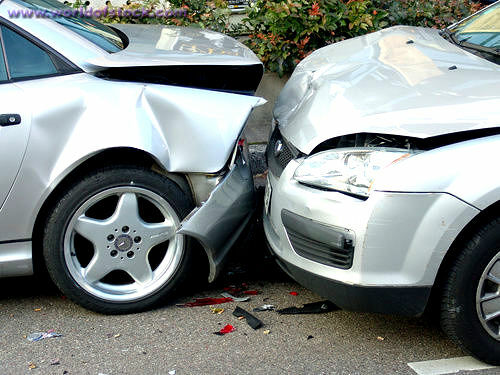 Our Miami car accident lawyers meet with personal injury clients who were involved in rear end collisions. The question is always the same – who is at fault? So what does the law say? When one vehicle rear ends another vehicle, the rear ending vehicle is presumed to be at fault. But that presumption is rebuttable. What does that mean? It means that even if your vehicle rear ends another vehicle, it may not be your fault. Rear End Collision – Who is at Fault? To rebut the presumption in a rear end collision you would need to prove that it wasn’t your fault. There are three basic ways to prove that you were not at fault. First, the vehicle in front of you makes an illegal stop. The clearest example would be vehicle on I-95, Le Jeune Road or the Palmetto stops their vehicle for no clear reason. If the vehicle you rear ended stopped illegally, you would be able to make a claim for your personal injuries and property damages against that driver. Second, your vehicle has an unforeseen mechanical failure. It is important that the mechanical failure was a surprise. For instance, if you were having trouble with your brakes and the mechanic told you that you needed to replace your brakes and you don’t then you really can’t claim it was unforeseeable that your brakes would fail and result in your rear ending another vehicle. But if your car was well maintained and you had no idea that your brake fluid had completely drained and you rear end another vehicle, the law allows that you may not be found to be at fault. The reason is that an unforeseen mechanical failure is not negligence. The third way you might not be at fault for rear ending another vehicle is because the vehicle you hit made a sudden and unexpected stop. A sudden stop is not enough. Nor is an unexpected stop enough. In order for the rear ended vehicle to be at fault, it has to be an unexpected and sudden stop. The “Swoop and Squat” scheme usually uses two cars. The one driver rides next to the target, while the other driver ‘swoops’ in front of the target car and suddenly stops, causing a rear-end crash. The innocent victim cannot avoid the accident because of the squatting car. The “Panic Stop” involves merging traffic lanes. Once a driver waves someone in, they then crash into them saying the target caused the accident by improperly merging. The “Sideswipe” involves a target car that drifts into another lane when making a turn. The criminal speeds up to crash into the car that drifted into their lane. “Shady Helpers” also known as “runners”. These individuals will search out accident victims and try to direct them to medical providers, chiropractors, and certain personal injury attorneys. What people need to understand is that these “helpers” or “runners” will get paid by the providers and attorneys they work with. So they are not helping you – they are helping themselves. Our personal injury lawyers in Miami never work with these types of fraudulent scammers. In fact, if we are approached by these criminals we will report them to the proper authorities. Criminal thugs who engage in staged accidents hurt everyone who has a legitimate claim. So it is in the best interests of our past, present and future clients and our profession to be vigilant in driving these criminals out of business. If you were involved in a car accident our Miami car accident lawyers can help. If you rear ended another car and you were injured, let our personal injury attorneys answer your questions. Depending on the facts of your rear end collision, you may be entitled to money damages even if you rear ended the other vehicle. Our managing attorney Jonah Wolfson is a bilingual personal injury attorney in Miami. He can help you and your loved ones put the pieces back together after a car accident. Our personal injury lawyers at Wolfson Law Firm in Miami have been helping personal injury victims for over 60 years. We serve clients in Miami Beach, Allapattah, Little Havana, Kendall, Weston, Miami Gardens, Fontainebleau, Doral, Tamiami, and all throughout Florida. Call us today at (305) 285-1115 and get the answers you deserve.